Guangzhou – Hong Kong High-Speed Railway is a section of Guangzhou–Shenzhen–Hong Kong High-Speed Railway, which opened on September 23th, 2018. There are 34 daily high-speed trains running between Guangzhou and Hong Kong, with an average travel time of only an hour. High-speed trains from Guangzhou to Hong Kong depart from Guangzhou South Railway Station, pass through Humen and Shenzhen North, and arrive in Hong Kong West Kowloon Station. This high-speed rail line also connects with the national high-speed network including the Beijing – Guangzhou Railway, significantly reducing the travel time between mainland cities and Hong Kong. 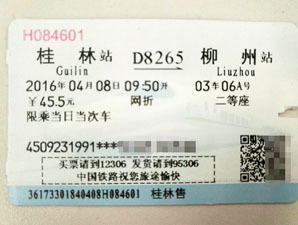 In addition to high-speed trains, there are also through trains (the train number begins with the letter Z) traveling between these two cities, with the duration of 2 hours. Guangzhou South Station "广州南" to Hong Kong West Kowloon Station "西九龙"
There are 34 daily high-speed trains from Guangzhou to Hong Kong. Departure time from 06:48 to 21:37. Trains listed above are some of them. 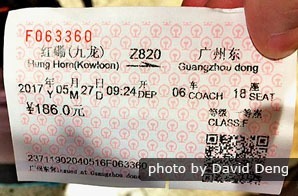 Click Guangzhou to Hong Kong high-speed trains to check up-to-date schedules. Hong Kong West Kowloon Station "西九龙" to Guangzhou South Station "广州南"
There are 34 daily high-speed trains from Guangzhou to Hong Kong. Departure time from 08:05 to 22:50. Trains listed above are some of them. Click Hong Kong to Guangzhou high-speed trains to check up-to-date schedules. One child below 1.2 m, and who doesn’t take up a seat, can travel per adult for free. Child fares apply for children under 12 years old and below 1.5 m. The child ticket fare is half of the adult ticket fare. Children above 1.5 m or over 12 years old are charged as adults. Guangzhou – Hong Kong Non-Bullet Trains are also called Guangzhou – Hong Kong through trains. There are 12 pairs of through trains daily, connecting Guangzhou to Kowloon East Rail Line. They are terminated at Guangzhou East Railway Station (广州东站) and Hong Kong&apos;s Hong Kong Hung Hom Railway Station (红磡站), with travel time of around 2 hours. Please note that Hung Hom Railway Station is not Hong Kong West Kowloon Railway Station. 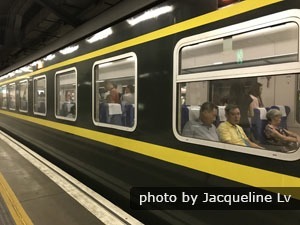 To check up-to-date Guangzhou - Hong Kong Train schedules, you may use the search tool at the top of this page, or use our China Train Ticket Booking Service. Guangzhou East Station "广州东" to Hong Kong Hung Hom Station "红磡"
Hong Kong Hung Hom Station "红磡" to Guangzhou East Station "广州东"
Child fares only apply for children aged between 5 and 9 years old. One child younger than 5 years old can ride with an adult for free; one adult can only take one child of this age providing the child doesn’t take up a seat. Children of 10 years old and above have to pay the full price. Both high-speed and normal train tickets for between Guangzhou and Hong Kong can be purchased 30 days before your departure day. You can buy tickets on Guangzhou - Hong Kong high-speed trains through four ways: online with a travel agency, by telephone, at a train station or at local ticket agencies. Buying tickets online is recommended. 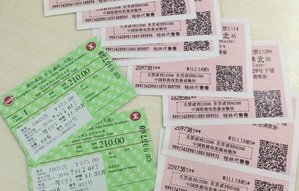 China Highlights&apos;s ticketing service makes it easier for you to book train tickets and can save you a lot of time and hassle. Tickets can be delivered to you or be collected at the train station. Ticket Collection: After you make the booking, a confirmation with a pick up number, as well as bilingual instructions, will be sent to you via email. You need to present the pick up number and your passports to the ticket counter to collect paper tickets for boarding. Delivery service: Paper tickets will be delivered to your hotel in China before you arrive. You don&apos;t need to queue up in front of a ticket counter to collect tickets. 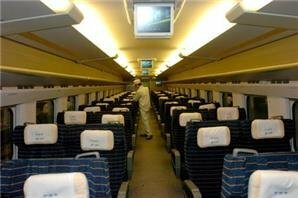 Like high-speed trains, booking tickets online with China Highlights is the most convenient way. But due to the differences between China Railway system and Hong Kong Rail system, non-bullet train tickets to and from Hong Kong cannot be collected at any train stations. Thus we will deliver the paper tickets to your hotel or address in China. Search Guangzhou to Hong Kong high-speed train and make a booking now! Some of the high-speed trains from Guangzhou to Hong Kong make stops at Shenzhen and Futian. The travel time between Guangzhou and Shenzhen is 36 minutes; Shenzhen to Hong Kong is 14 minutes. 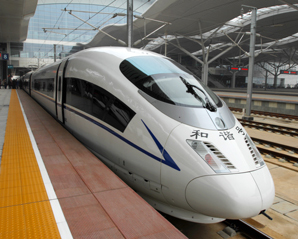 Read more information about Guangzhou–Shenzhen–Hong Kong high-speed trains.